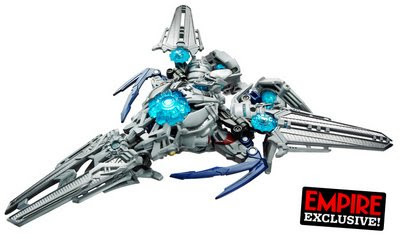 Soundwave revealed!!! | JAMMSBRO '+g+"
Most original Transformers fans were a bit let down at the no show of Soundwave in the first film (he was originally in the script but removed due to time constraints and Bay not wanting to introduce too many characters to unfamiliar viewers). 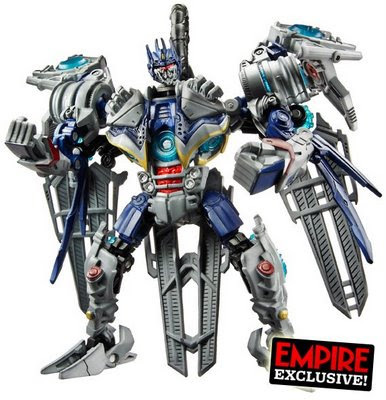 Now we have pics of the Soundwave toy and it must be said that he might be a bit harder than he was in the cartoon or comics by the looks of this. Stan Lee and Marvel sued! Awesome new GI Joe posters! Lost Planet - massive budget?? Veronica Mars movie back on? Hobbits to return for The Hobbit? Watchmen Site up and running. Deformed Ewoks! Star Wars REBOOT! Linda Hamilton Returning as Sarah Connor? New Transformers 2 Poster + news!!!! Knightley is Beautiful and Damned.